After a long and dreary winter, welcoming the brighter days of spring is always a treat. However, as many New Englanders know, the start of spring doesn't necessarily mean warm temperatures and dry skies. As such, spring hiking should be approached with some caution. It can be easy to get carried away with the warmer weather of spring, but as any seasoned hiker knows - this is when you need to be most cognizant of dropping temperatures. Though you may be tempted to embark on your spring hike with just a t-shirt and light jacket, thanks to the warmer afternoons and longer daylight hours, it's best to think again. As AccuWeather explained, hiking up in elevation can result in a quick dip in temperatures. Using your PRG600Y-L, equipped with thermometer, you can stay on top of temperatures to ensure a safe and comfortable hike. Even if you're working up a sweat at the bottom and on your way up, you may find yourself near freezing at the summit. As such, consider bringing several waterproof layers. Layering enables you to adjust often and accordingly, as needed. Consider a base and mid layer, underneath a fleece or similar layer. On top, you'll want to bring a waterproof shell that will also block the wind, AccuWeather advised. When hiking through the woods or any area with lots of brush and tall grass, there is always a risk of ticks. According to the American Hiking Society, spring and summer are the months with the highest risk for ticks on the trails because in the spring, ticks are just developing. During this stage they are called nymphs and they are known to carry more disease-causing pathogens. Moreover, because they are much smaller at this stage, they can be more difficult to spot. As such, it's important to practice extra precaution when hiking during the spring and summer months. Even though the weather is warm, it's best to wear long pants, long-sleeved shirts and high socks, according to the AHS. Tucking your pants into your socks and sealing all other open skin areas can help reduce your risk of finding a tick on you. Wearing insect repellent is another great prevention method. At the end of every hike, be sure to do a self-check for any ticks. Several other types of bugs emerge in the spring so it's not just ticks you'll need to worry about. Practice the same prevention methods and stay vigilant. During every season, taking care of the trails and respecting nature is one of the most important guidelines for hikers. According to the Appalachian Mountain Club, leftover ice and snow can leave the trails soaked and muddy in the spring, which makes it increasingly difficult for trail maintainers to keep up with. Without even realizing, your hiking boots could be leading to erosion of the trails, as your steps cause the damp soil to turn up. Hiking responsibly is especially important during this time of year, the AMC explained. It is your duty as a hiker to stay in the middle of the trail and avoid walking along the edges - even if you are tempted to do so to keep your feet from getting wet. Walking along the edges only causes more damage. In following the aforementioned guidelines for trail preservation, you do also still need to keep in mind your safety. Wet, muddy trails are slippery and pose a greater risk for falls and injury, which makes paying attention to each step crucial, according to the AMC. You may opt for trekking poles to help keep you balanced but if you do, ensure that they have rubber bottoms to minimize the damage that could cause to the trails. 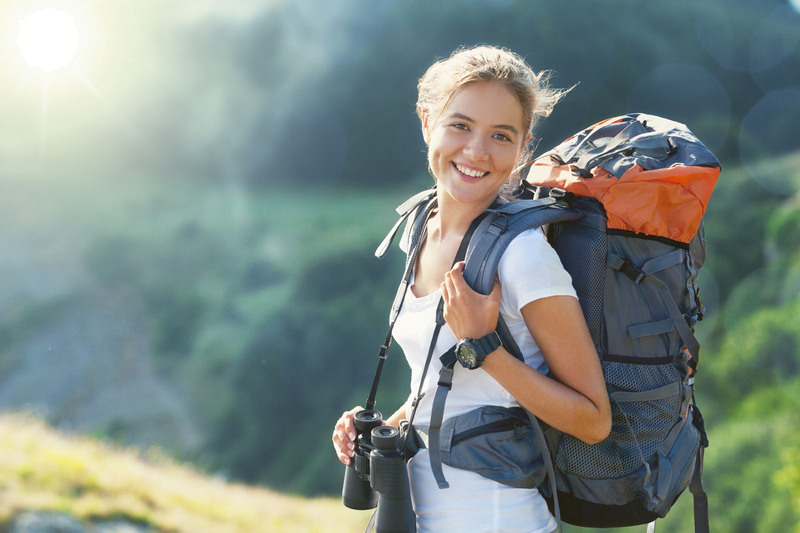 Keeping these risks as well as the necessary precautions in mind will set you up for success on your spring hiking adventures.